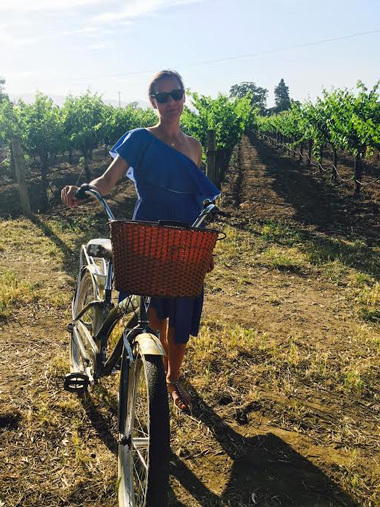 My most recent Napa getaway was filled with fun activities from poolside lounging to pizza making. Then there were the daily dress-offs, for which my friends and I busted out our newest and finest. Turns out the one that got the most tongues wagging was my Zara chambray denim dress, above. Not only did it immediately prompt every single woman on holiday with me (five in all) to order one for themselves, but it let me stylishly breeze through a vineyard bike ride. The other gorgeous standouts included this dramatic Self Portrait frock (on sale! ), this sweeping Lisa Marie Fernandez maxi (on sale! ), this one-shouldered MSGM top, this denim Free People mini, this Dolce & Gabbana (40% off) dress, and this Rebecca Taylor tea-length look. Love the Zara dress! Does it run true to size? Yes, it runs true to size. I bought a medium.